Another interview was conducted with the witness who came forward several days ago to reveal details regarding the Sujiatun concentration camp in Northeast China. In this interview the witness revealed that her ex-husband was one of the main surgeons in the concentration camp. He is a brain surgeon, and was mainly in charge of cornea removal. Because of the horrifying character of live organ removal and the burning of corpses, the witness and her family have had destructive life experiences. Every time she recalls events in Sujiatun, she endures indescribable pain. It is almost impossible for people to imagine the degree of suffering that the Falun Gong practitioners are going through inside the camp. Reporter: How did you know that all detainees at Sujiatun were Falun Gong practitioners? Answer: They are all Falun Gong practitioners. For other people, they have relatives. Relatives would come to ask for family members. Only when Falun Gong practitioners are sent here, their families don't know. Masanjia and Dabei prisons detain a lot of Falun Gong practitioners. Now there are not that many any more. Everyday people are released. Where were these Falun Gong practitioners sent? Those Falun Gong practitioners who were detained in Sujiatun, they had refused to sign a letter saying that they wouldn't practise Falun Gong any more. Many protested via hunger strike. They were very weak due to not having food. Everyone was given a piece of paper. If you wouldn't practise Falun Gong, put your fingerprint on the paper, you would be released immediately. Once a person went out of where the practitioners were detained, the people inside didn't know where they went. They thought that these people were released. Or they were told that these people were taken to other hospitals for treatment. Those who were taken out were usually first beaten until they lost consciousness. Then anaesthetic would be injected. Reporter: According to the official web site of the Shenyang City legal system, the Sujiatun hospital organised in 2000 all Chinese communist party cadres to study the decision to persecute Falun Gong. Answer: I didn't know about this. Sometimes my ex-husband lived in the hospital dorm. He usually didn't mention that kind of thing to me. He would simply call home and say he was busy, and then he wouldn't come home. My ex-husband knew they were Falun Gong practitioners. Every surgeon knew it. At that time, they were told that persecuting Falun Gong was not counted as a crime. Instead, it was "cleaning" for the Chinese communist party. Those on the operation table were either mentally destroyed or had lost consciousness. Major targets of cornea removal were the elderly and children. 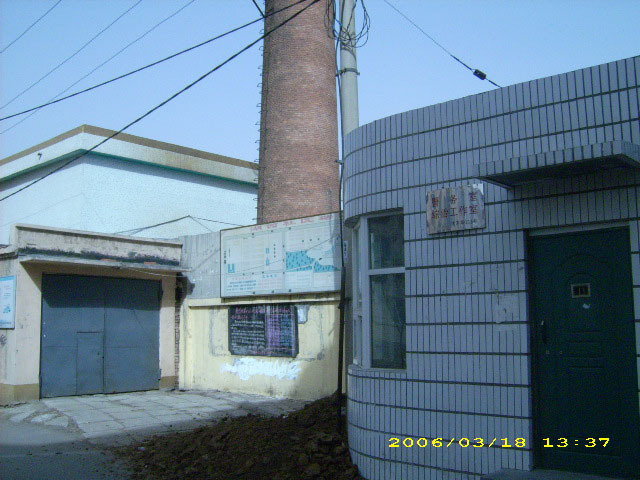 Many Falun Gong practitioners were detained in a one-story residential house in the hospital. This house was dismantled in 2003. We guessed that there was an unknown basement. They will not admit there was once the one-story residential house. They might say that it was built for peasant workers or the homeless. My ex-husband was also worried that someday he would be killed for the purpose of destroying evidence. So he went abroad. Other people knew he wouldn't dare to speak out. Reporter: Over the years, no relatives came to ask for family members? Answer: During 2001 and 2003, only one peasant came to ask whether his family members were detained here. It was all secret. Nobody knew. When people were arrested, there was no paperwork. When people were released, there was no paperwork either. Persecution is persecution. It is against humanity. As a Chinese, I feel quite sad. This is Chinese killing Chinese. It's unlike the slaughter in Nanjing when the Japanese invaded China. This is killing our own fellow people. No matter whether they practise Falun Gong or not, they are our fellow people. This is very brutal. Reporter: How could the Sujiatun Concentration Camp remain so secret? Answer: Because several people share the profit. So they won't tell others. This room here can hold at least 100 people. You know, when Falun Gong practitioners are detained, they are not allowed any private space. All are packed together. Maybe one goes to the toilet and comes back; one will not find any space any more. 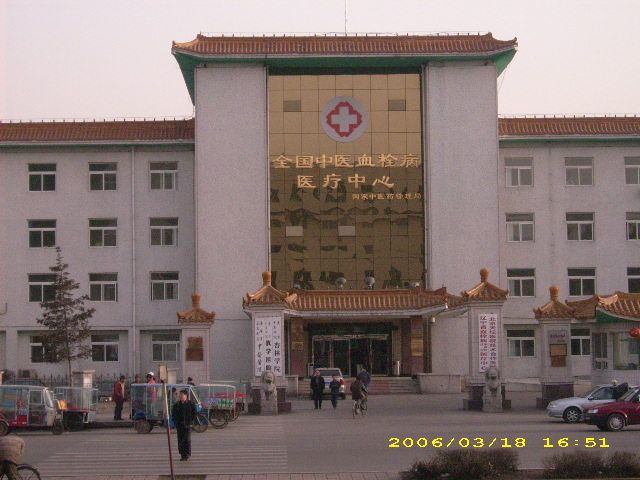 Many Falun Gong practitioners were detained in a one-story residential house in the hospital. This house was dismantled in 2003. We guessed that there was an unknown basement. A living room of a regular U.S. house can easily hold 100 people. Our hospital is very large. They will not admit there was once that one-story residential house. They might say that it was built for peasant workers or the homeless. Reporter: Do you think Chi Mingyu, the head of the Sujiatun hospital, knew about this? Answer: I think he should know. Reporter: This is a concentration camp in a public location? Answer: It's semi-public. Everyone has heard of this hospital. It's quite famous. However, people who don't have heart or thrombi diseases usually won't come to the hospital. So it's not an entirely public location either. Sujiatun is a suburban district of Shenyang. It is like a rural area. Whether other hospitals in the Sujiatun District did the same thing, I don't know. Staff in the public health system can rotate within the system freely. We found that supplies in the hospital suddenly increased. We guessed: what are so many people coming for? I commuted to work by a shuttle. We didn't care so much. We also didn't know whether Falun Gong was good or bad. Reporter: How did you know about the live organ removal? Answer: During the 2003 Chinese New Year, people visited each other for the New Year. For example, they gathered to play Chinese chess, or Mahjong. When they chatted, they talked a little bit about this kind of thing. I knew that my family had easy money, but didn't know the source. Later on, my ex-husband told me about this. My ex-husband is a quite talented brain surgeon. Many heads of hospitals wanted him to work at their hospitals. It was easy to use him. He's smart. He knew how to obtain money. When he joined the Sujiatun hospital, he was an intern doctor. Very soon, he was promoted to surgeon. Starting from 2003, I noticed that he was often absent-minded. For example, he watched TV holding a sofa pillow. When I shut off the TV, he would not notice. At the beginning, my ex-husband simply said he wanted to find another job. I was very surprised: Why? We are having a good life here at Sujiatun. Gradually, he started sweating at night and having nightmares. When he would wake up, the bed sheet would be soaked with his sweat in a human shape. I asked him whether his job was too stressful. Sometimes he had long discussions with my father in our reading room. He said he wanted to change jobs and asked my father to help him. However, for some reason, nobody in our family helped him switch his job. Finally, I couldn't tolerate any more. I asked him. Then he told me this. My friend witnessed Falun Gong practitioners detained in Sujiatun. Everyone knew that a lot of Falun Gong practitioners were sent from Masanjia and Dabei prisons. We didn't mind thinking about it. 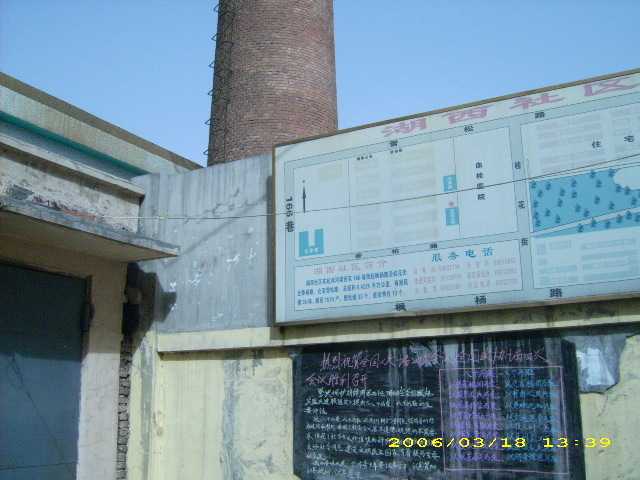 A lot of people who work at Sujiatun are from families of high-ranking cadres. We have formed this habit since very young: Do not ask anything that's not relevant to us. The brother of one of my classmates went overseas in 2002 shortly after he participated in this business. He left after performing a few operations. Reporter: What kind of operations did your ex-husband do? Answer: My ex-husband did cornea removal. At the beginning, he didn't know whether those people had been granted permission. People who were on operation tables were not conscious. They were alive. He knew it after performing a few. How could there be so many people who donated their corneas? He said that the person who asked him to do this kind of thing told him: you are already on this boat. Killing one is murder. Killing several is also murder. He said that later on he also knew that the people were alive. Where the organs and corpse were sent, he didn't ask. The he developed a retribution. He was even very nervous when driving. He could not live a normal life. By 2003, many people in the public health bureau knew about it. Not only family members knew, even some outsiders knew about it. My ex-husband told me that those patients who needed kidneys were in other hospitals. The kidney would be removed in the Sujiatun hospital. He didn't know much about the aftermath. Maybe corpses were sent to Sujiatun crematorium or the incinerator. A person would not have cornea removal only. Very possibly, other organs would be removed from this person as well. This was no different than murder. When surgeons deviate a little bit, their knives are killing people. I divorced because of this. If it had been extra-marital affairs, maybe I could still tolerate it. The fact that he could tell me this indicated that he had a little conscience left. If he hadn't told me, I wouldn't have believed it. He told me this with his own mouth. Nobody would say that he did something like this. Reporter: Were there any other surgeons? Answer: There are other surgeons. My ex-husband is a brain surgeon. It's not possible that he does kidney removal. Reporter: Did those who were part of it feel that they did wrong things? Answer: Between life and money, some people choose money. After I knew this, I told my ex-husband: "Your entire life is ruined. You will not be able to hold surgical knives any more." When you perform an operation for people, you will remember things you did in the past. I am not the surgeon. Even so, whenever I talk about this, I'm trembling and afraid. Later, after my ex-husband completed procedures for going abroad, he had to explain to me why he had to leave. I told him that you could only choose things prior to this [live organ removal], but not anything after this. I don't practise Falun Gong. I am not so noble. I did not come to the U.S. from so far-away to expose this to the world. My friend told me to travel to the U.S. to cheer me up. He told me that America is a country that emphasises human rights. It's a free country. He said that you could speak out your experiences here. People think that I divorced because my ex-husband wanted to go abroad, and I didn't want to go. Others were not happy with me. They asked me why I divorced my ex-husband, and that he was such a good man. Now we expose this to the world. At least a portion of people there can still survive. I don't care if they admit it or not. Exposing it will deter these evil actions. I think for those who have read this news, if they have missing relatives, they should gather together and demand an explanation from relevant government agencies. When people disappear, they are either dead or crazy. Otherwise, they will find a way to send a message home. The Shenyang Morning News reported on the 11th that a peasant worker was cremated without a family signature. The person is already cremated. Who knows whether the organs have already been removed? I saw that there was a confession from a spy. There will be a confession from a doctor. He doesn't have to reveal his name. However, he can spread the information. Anyone who has done this kind of things feels the burden of guilt. Sujiatun is one of the nine districts governed by Shenyang City. It is a satellite city 15 kilometres to the South of Shenyang City. 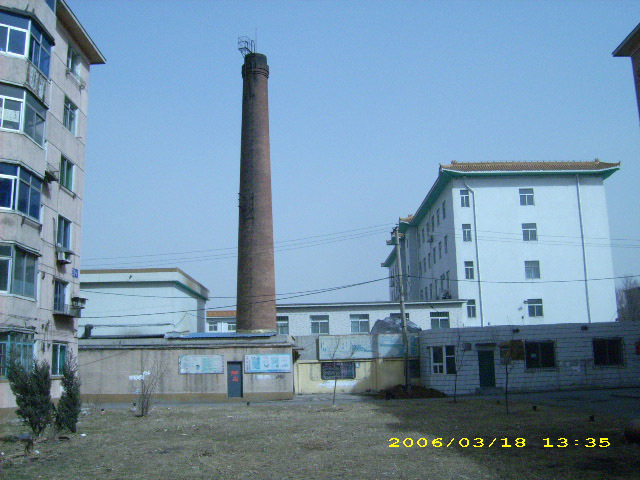 The Sujiatun Concentration Camp is also called National Traditional Chinese Medicine (TCM) Thrombus Treatment Centre. The address is 49 Xuesong Road,Sujiatun District,Shenyang City,Liaoning Province,China. It is also called Liaoning Thrombus Treatment Centre of Integrated Chinese and Western Medicine. It was built in 1998.